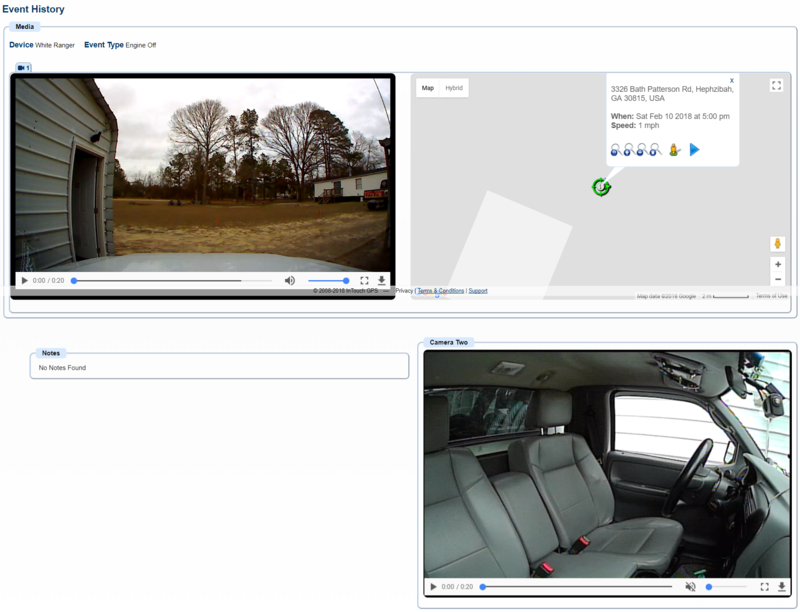 The Media tab is only available to clients that have purchased Dash Cameras. This is where the resulting still and video imagery can be viewed, downloaded and even annotated. Clicking on ‘History’ will allow you to see the imagery for the particular event.